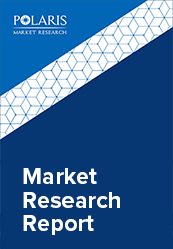 The global Specialty Generic Drugs Market is estimated to grow at a CAGR of 25.5% between 2018 and 2025. Specialty Generics drugs are the generic forms of pharmaceutical products. These drugs are economical when compared with branded pharmaceuticals. These drugs include complex molecules, biopharmaceuticals, and blood-derived products. Companies are entering into this market to manufacture generic forms of the products by forming new drug formulations as a number of specialty drug molecules are approaching patent in the upcoming years. Additionally, global capacity of conventional or traditional generics drugs market is also forcing companies to seek newer opportunities. Nonetheless, development and commercialization of specialty generics drug are more complex when compared with conventional generics drugs. Healthcare expenses have increased due to costly pharmaceuticals products, therefore, governments are pressuring pharmaceutical manufacturers to produce cost-effective drugs. Rising prevalence of cancers is one of the major factor enhancing the global specialty generic drugs market growth. According to National Cancer Institute, approximately 16 million cases of cancers are diagnosed every year in the U.S. leading to around half million deaths occur due to various type of cancers. In addition, specialty drugs patent expiries, payer’s pressures to reduce the drug prices, lack of generic drugs to treat complex diseases, and favorable reimbursement policies are other factors anticipated to bolster the demand for specialty generics drugs during the forecast period. Augmentation in the number of off-patent specialty drugs is factor estimated to propel the significant growth of the specialty generic drugs market. For instance, the patent for Novartis drug Gilenya is estimated to expire in 2019. This drug has made approximately 14% sales growth of Novartis. Such early patent expirations are expected to boost the global market growth. North America is the highest spending region in healthcare, yet, this region recently began cutting healthcare expenditure. The current economic & financial crisis and the existence of a high geriatric population are some of the key reasons for the cost cut in healthcare infrastructure over this region. This creates the need for developing novel, enhanced, and economic methods for production of specialty generics drugs. This factor is further anticipated boost the global specialty generic drugs market in the forecast period. The global specialty generic drugs market is segmented on the basis of application, route of administration, distribution channel, and region. On the basis of application, the global specialty generic drugs market is segmented into Oncology, Infectious diseases, Multiple Sclerosis, Hepatitis C, and Others. Based on the application the oncology segment dominated the global market in 2017. Increased prevalence of cancer, such as melanoma, lung cancer, breast cancer, leukemia, prostate cancer, and colon cancer has directed to rise in demand for generic specialty drugs globally. According to International Agency for Research on Cancer (IARC), 2012, globally approximately 14 million cancer cases were diagnosed, and this number is projected to rise during the coming period. Thus, with the increasing prevalence, there is a huge demand for low-cost generics drugs that are less expensive and highly effective in comparison to branded drugs. On the basis of route of administration, the global market is categorized into Oral, Parenteral, Topical, injectable, and Others. In 2017, the injectable segment estimated for the largest market share majorly owing to benefits, such as long duration of action, immediate dose distribution, and quick absorption. On the basis of the distribution channel, the global specialty generic drugs market is segmented into Retail Pharmacies, Hospital Pharmacies, and Online Pharmacies. In 2017, hospital pharmacy is estimated to share the major market globally as these specialty drugs are highly compound, expensive, and required to be handled very carefully. Thus, these drugs are generally distributed by manufacturers through hospital pharmacies. By geography, the global specialty generic drugs market is segmented into five major regions, North America, Europe, Asia Pacific, Latin America, and Middle East & Africa. In 2017, North America dominated the market with the largest share due to favorable healthcare developments by the government and a strapping healthcare infrastructure in this region. Furthermore, healthcare organizations, such as World Health Organizations (WHO), are widely involved in framing policies, such as the National Cancer Control Programs, which are anticipated to expand the growth in this region. The Asia Pacific is anticipated to dominate the global market during the forecast period. The market is driven by a rise in prevalence of chronic diseases as well as high demand for cost-effective generic drugs. In addition, a rise in per head income increases the prospect of usage of specialty generics, and continual upgradation of healthcare infrastructure is recognized to provide the market with global growth opportunities over the forecast period. Some of the major key players operating in global specialty generic drugs market are Mylan N.V., Teva Pharmaceuticals USA, Inc., Sandoz International GmbH, Mallinckrodt, Akorn Inc., Valeant Pharmaceuticals International Inc., Endo Pharmaceuticals Inc., Pfizer Inc., Sun Pharmaceutical Industries Ltd., and Apotex Corp. among others.